The Horror Dome News | New Halloween Products and Horror News | Tagged "Halloween Decorations"
Creating the perfect fright is no small task. Whether you’re decking out your home for your annual costume party, putting together a haunted house at a local rec center or school, or running a commercial attraction that freaks out thousands of guests every year, you know it’s important to nail the details. After all, a room full of zombies, witches or werewolves just doesn’t look right without a well-designed backdrop. At The Horror Dome, you’ll find a variety of terrifying Halloween decorations, including options that will turn the average household into a creepy chateau, and Hollywood-quality set pieces that will take your professional haunted house to the next level. Host a get-together, welcome trick or treaters, or set a macabre scene for your kid’s school costume party. If you’re on a budget, you’ll find a few small Halloween decorations from this collection can be a game changer. Light fixtures, like the flickering attic lamp or hanging flame light, will definitely add an eerie atmosphere to your room. Let your creativity run wild with hot glue sticks designed to glow under a blacklight, or give your abode an old, abandoned look with artificial cobwebs and hanging fabric decorations and tapestries. Those with a little more money to spend should splurge on highly detailed Jack O’Lantern candy bowls, witches’ cauldrons that look amazing with a chunk of dry ice tossed inside, tombstone props, or skull chandeliers. Both fog machines and strobe lights are relatively inexpensive, and are perfect for confusing the senses. With a few detailed accents, a little imagination, and a low-lying mist covering the floor, the scene will be set for an unforgettable Halloween party. If you’re managing a professional attraction, you know there’s a constant need to update and rearrange your numerous spooky scenes. This helps keep the attraction fresh, and treats repeat visitors to new experiences every season. Large wall panels make it easy to completely redo a section of your haunted house. Choose from a range of designs including stacked bones and skulls, distressed Victorian walls, and alien panels that will make the room look like an extraterrestrial lair. Of course, animatronics and animated props are always popular with visitors. At The Horror Dome, you’ll find a number of decaying zombies, murderous ghouls, as well as animated magic mirrors that display strikingly realistic routines. From giant facades that cover the entire front of your attraction, to thunder and lightning kits that will make your guests feel like they’re caught in a tempest, you’ll have no problem adding a new layer of fright to your haunted house. Check out our blood-chilling collection of great new Halloween props and decorations, and get it in time with our fast shipping! With gruesome characters from the deepest corner of the underworld, strobe lights and fog machines that play dirty tricks on your senses, and a new fright around every corner, there’s nothing like the spine-tingling thrill of a great haunted house. From over-the-head masks to shriek-inducing animatronics, The Horror Dome provides gear and equipment for many top haunt destinations. 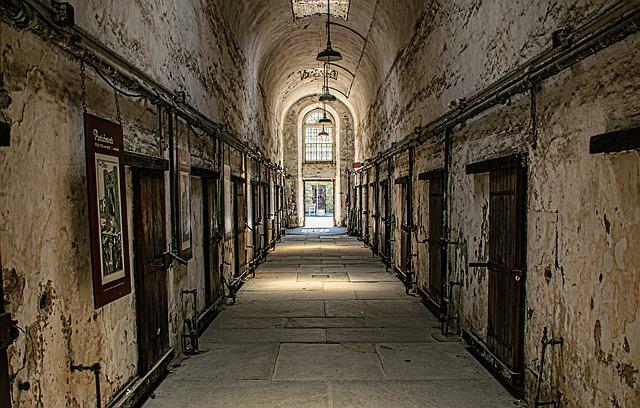 This famous Philadelphia prison that once held the likes of Al Capone is considered to be one of the most haunted places in the country. Open all-year-round for historical tours, the Terror Behind the Walls haunted attraction takes over several wards during the Halloween season, and features live actors and special effects. Located in the town of Terrell, TX, about 33 miles east of Dallas, Thrillvania features three distinct attractions on a nearly 50-acre plot. Centered around the imposing Verdun Manor (that legend has it, was once home to a murderous werewolf and his vampire wife), this sprawling estate features surprising frights around every bend. Trouble in paradise? You’ll find more than palm trees and surfers in this haunted Oahu town. Every year around Halloween, Hawaii’s historic Waipahu village gets invaded by over 60 actors dressed in highly-detailed costumes. A one of a kind experience, you’ll feel transported back in time to a place where settlers lived in constant fear of demented supernatural beings. Built in 1894, this Cincinnati, OH schoolhouse is said to be the site of a number of gruesome murders carried out by a deranged janitor, known only as “Charlie.” A haunted house that’s consistently named as one of the best frights in America, the schoolhouse offers ghost hunting tours that take place without actors or effects, and the full-on experience that features over 50 characters on any given night. Did these unspeakable crimes really take place? Visit this eerie school and see for yourself. Located in Baton Rouge, this well-known Louisiana haunted house also makes an appearance on many “best frights” lists. True to its name, it offers 13 unique realms of horror, as well as a necropolis that’s teeming with the undead and a fun escape room that’s open for business all year. Famous for Hollywood-worthy, realistic details, this creepy compound is staffed by over 160 professional actors and a talented crew of 60+ during the Halloween season. 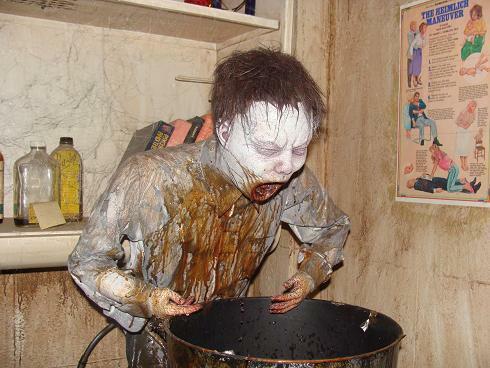 Looking to update your Haunted House attraction for the coming year, or simply add a little professional-quality realism to your home? Your guests will do a double-take when they glimpse a life-like severed head or possessed porcelain doll. Shop Halloween decorations from The Horror Dome today!